Have you ever felt like the life you’ve created is somehow limiting? Have you ever pushed down those feelings that you were meant for something different, something greater? When we do that, we dull our natural brilliance. We silence our authentic self. And, we set ourselves up for a struggle to find our happiness. The good news, it’s never too late to change course and start living an authentic life. To honor your true self and start doing what you really want with your life. 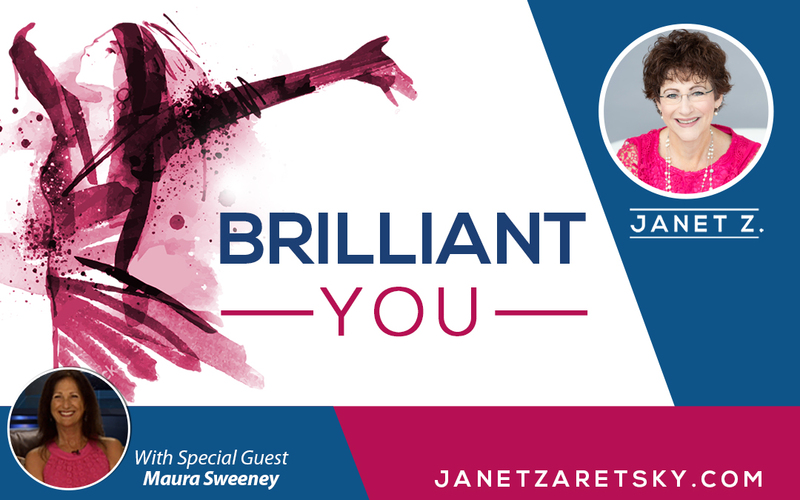 My guest on this episode of the Brilliant You podcast is proof of that. She’s embraced transition in her life; each time stepping into roles she knew she was born to be in. And, happiness followed. Maura Sweeney is an author, podcaster, international speaker, and is the Ambassador of Happiness. She’s lived her life creating work that serves her brilliance. She also had the courage to recognize when her path had taken a turn toward purposelessness. Now, she helps people reconnect with their own purpose in life and gives them the inspiration (and courage) to go for it. To change their own world instead of waiting for the world around them to change. I thoroughly enjoyed my conversation with Maura – I found a kindred spirit! The ideas we discuss are truly transformational. By the end of this podcast, you will feel empowered to honour your gifts and dreams, you’ll see that you’re never stuck with where you are and that you owe it to yourself and the world to step into your brilliance. Thanks to Maura for the exchange of ideas and positive energy! If you’d like to take Maura up on her generous offer of a free copy of her e-book,“The Art of Happiness: Competition”, send her an email maura@maura4u.com and put the Brilliant You Podcast in the subject line so she knows how you found her. If you’re interested in her course, “Personal Leadership, Authenticity & Happiness” click here.